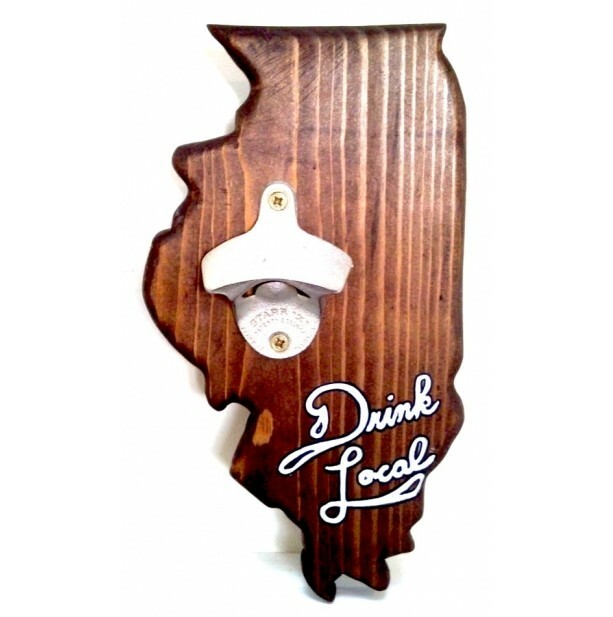 Made from Pine Wood and handcrafted for your taste, this Drink Local - Illinois bottle opener wall decor is perfect for your bar, home, or local business. Why you need this is, because let's face it, good beer doesn't have a twist off top. These products can also be made-to-order (example: Drink Local at Smith's Pub OR John's Bar). Just send a message along with the details that you would like (shape, size, color, style, wording, etc.) 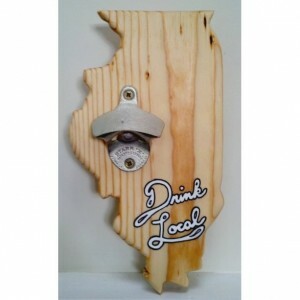 and your customized bottle opener wall decor will be ready for you in no time! Shipping is a flat rate by USPS, if it fits it ships!